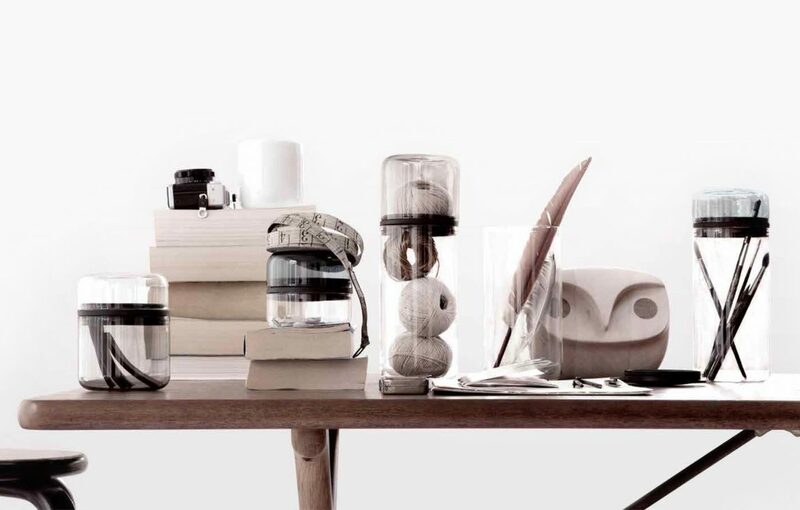 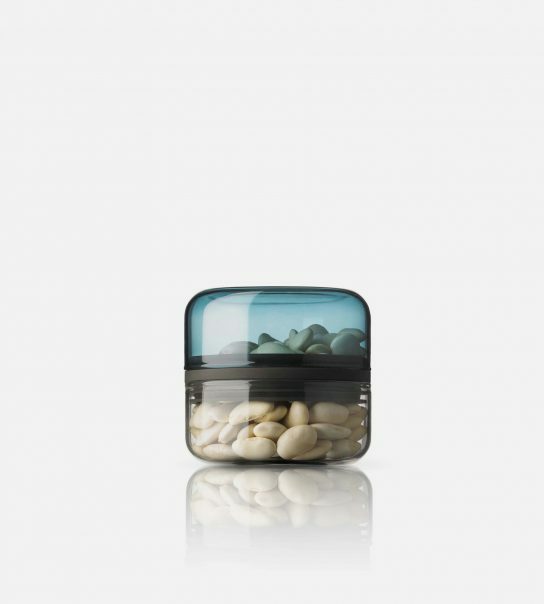 Juuri is a series of storage glasses designed to display its contents. 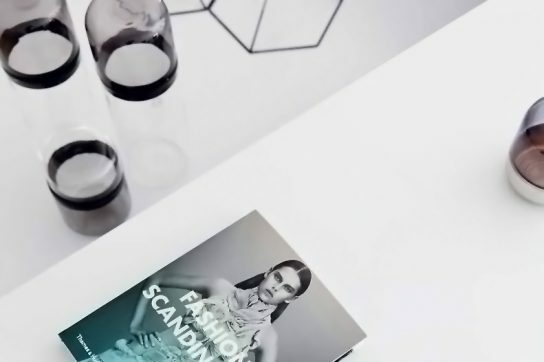 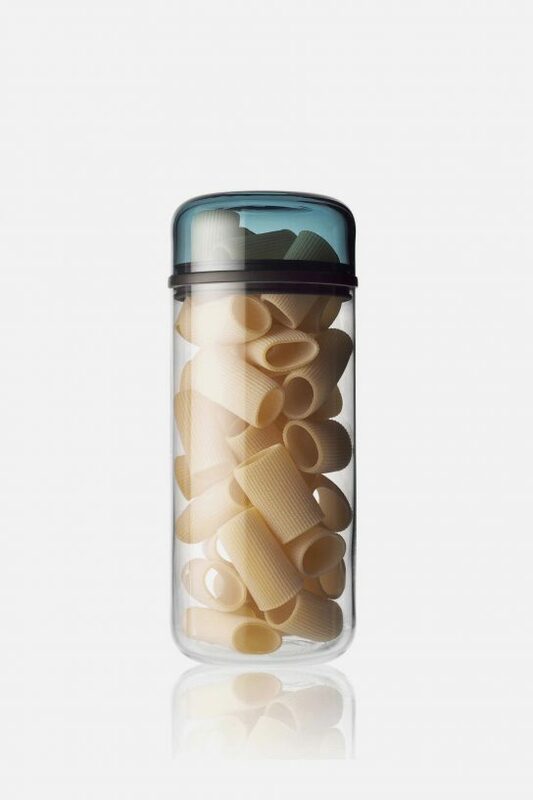 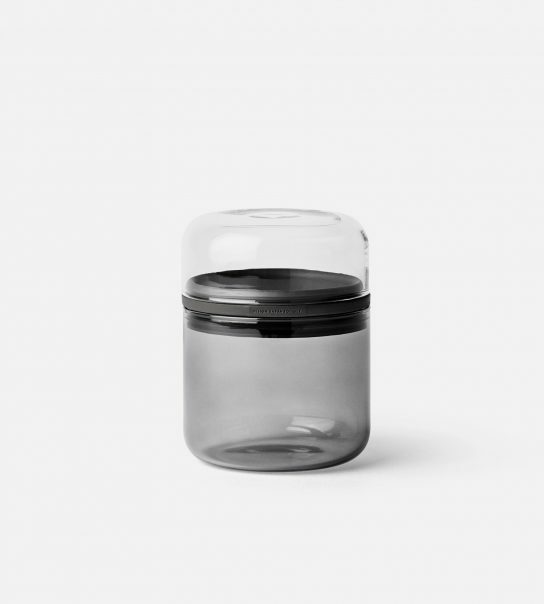 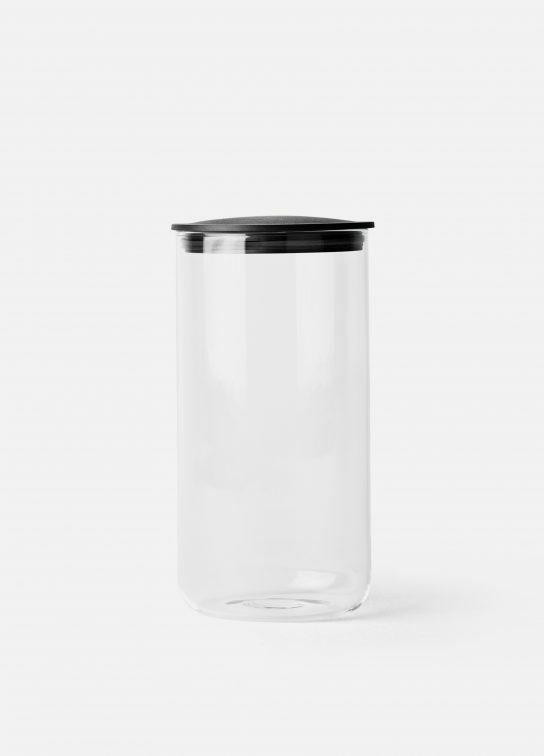 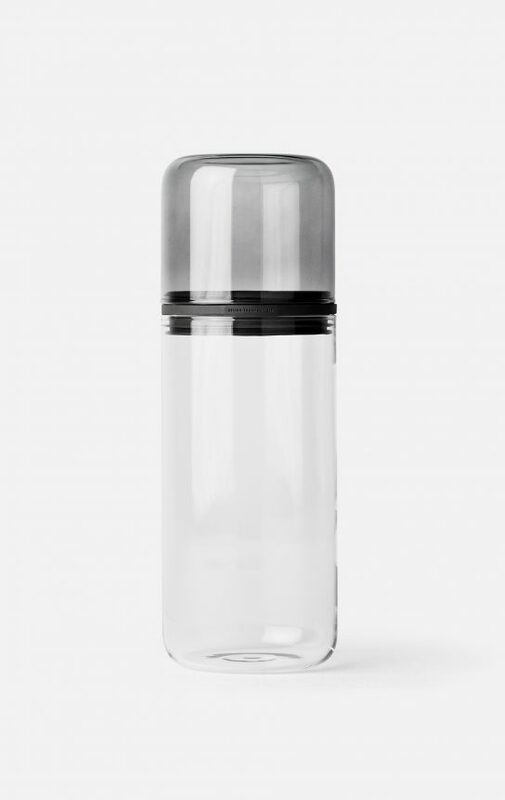 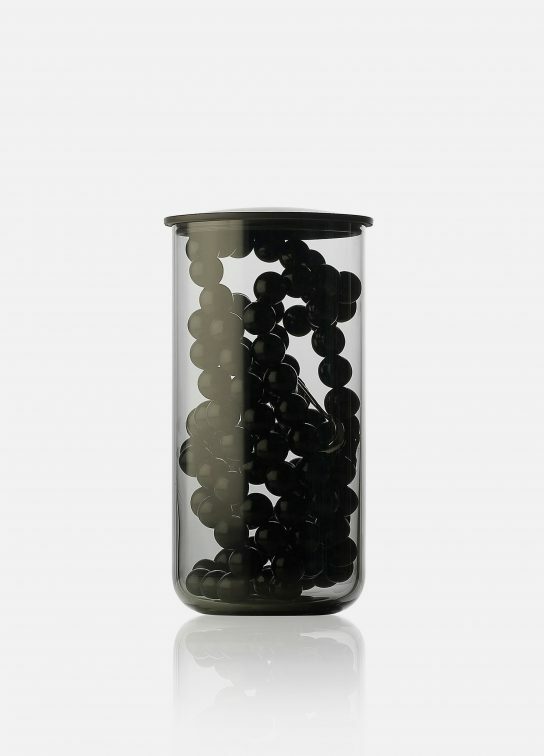 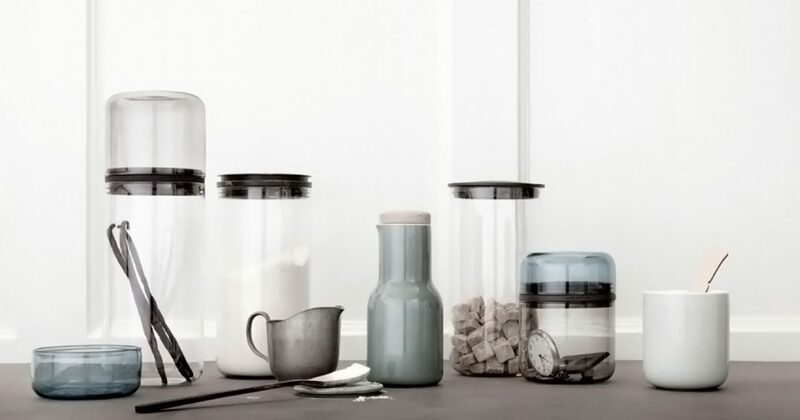 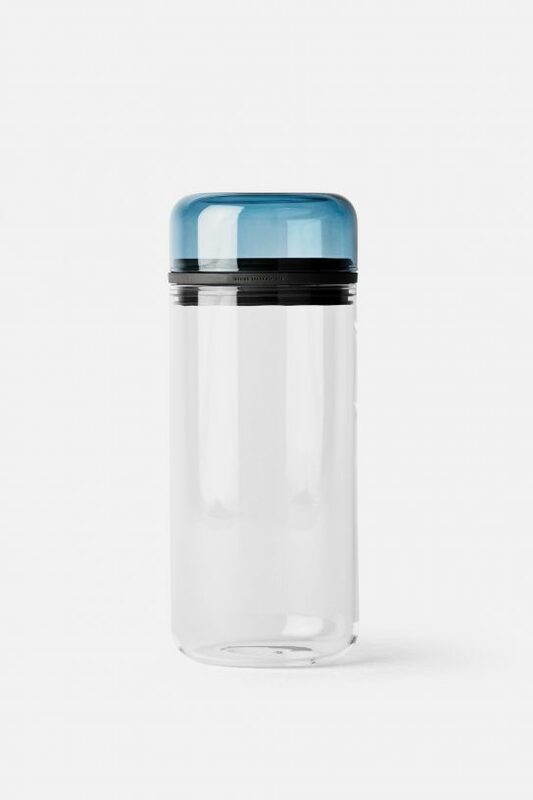 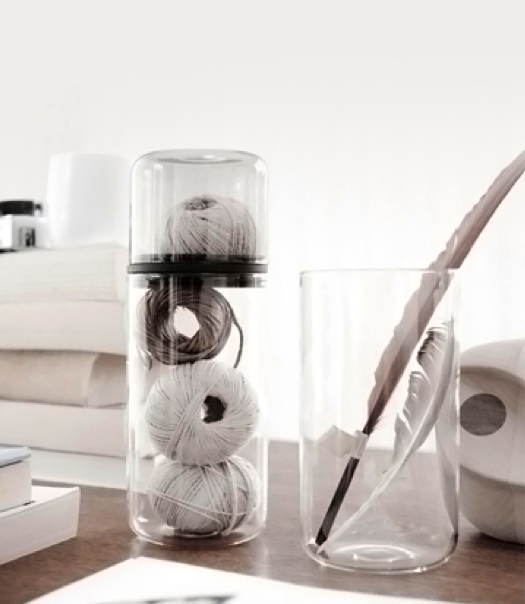 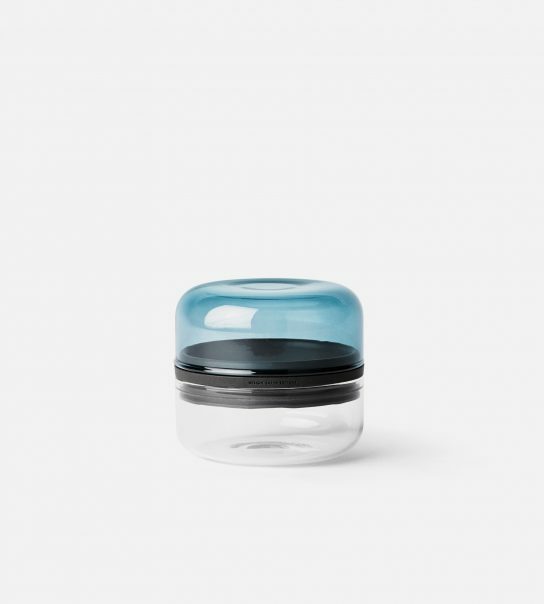 A flexible silicone collar placed between the glass sections creates an air tight integrated container, while the transparent or coloured parts can be used individually as open storage containers – for items on your desk, kitchen or bathroom. 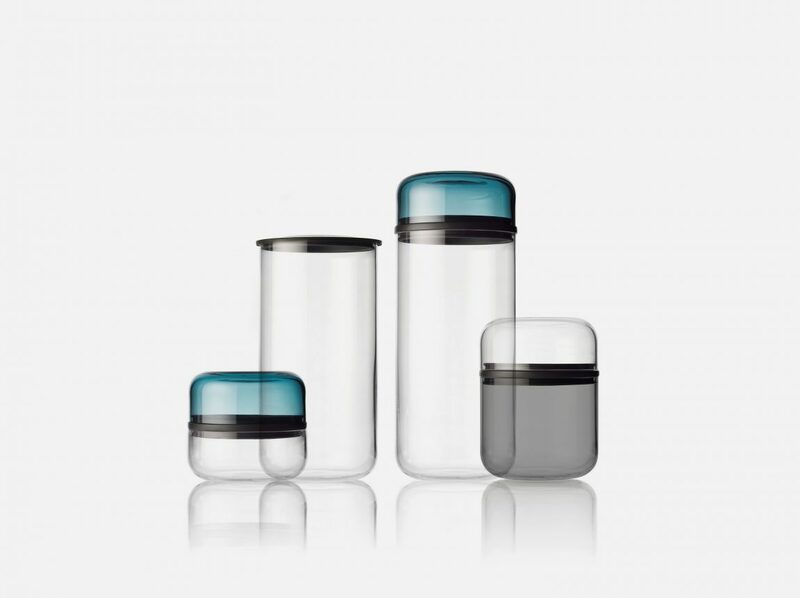 The glass containers are all made from the durable and heat resisting borosilicate glass in three colour variations – clear glass, smoke glass or a blue glass. 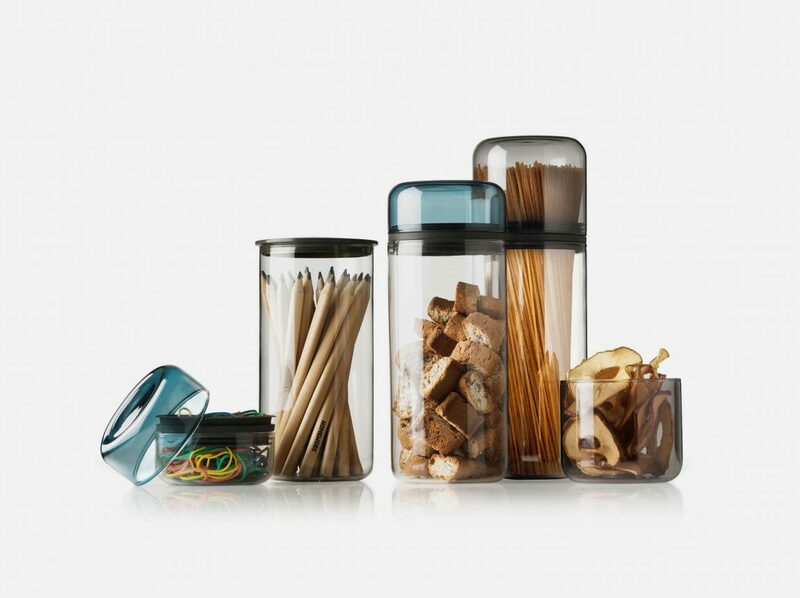 All three show reflections of light and give the impression of changing colour when they are filled.